Your customer's expectations have changed. want to quickly achieve their business outcomes and ROI before they'll talk about new opportunities or renewing. require help to ensure employees actually “adopt” the new technology you sold and deployed for them. want to move on to cross sell and upsell in the shortest time frame possible. can accelerate all of these goals with cloud-based User Adoption Services. 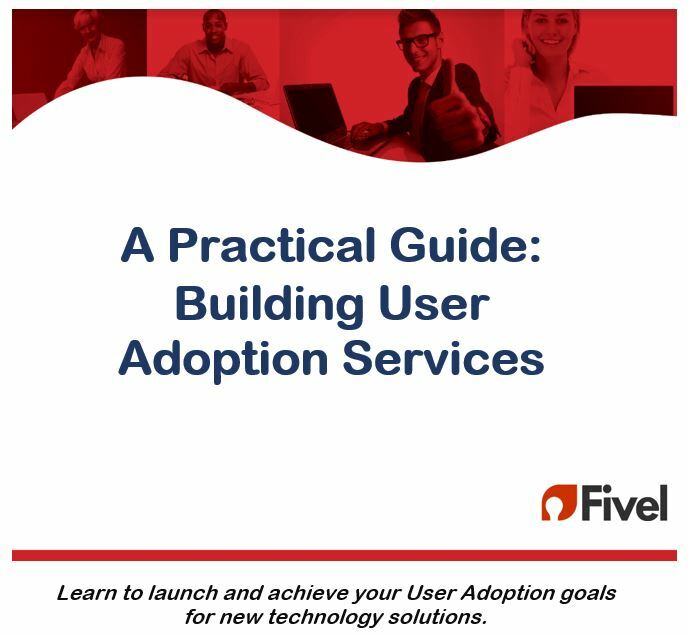 Fivel can help you launch your User Adoption Service Today. Fill in this form to get your FREE Guide today. Get your free Guide: Simply fill out the form below. By submitting this form, you are granting Fivel, [http://www.fivel.ca] permission to email you. Copyright ©2018 Fivel. All Rights Reserved.